The Russian Federation joined the World Bank Group on June 16, 1992. The Executive Director represents the Russian Federation and, since 2014, the Syrian Arab Republic in the Executive Boards of the World Bank Group (WBG). The Executive Directors are responsible for the conduct of the general operations of the WBG and exercise all the powers delegated to them by the Boards of Governors under the Articles of Agreement. The Executive Directors consider and decide on the proposals made by Management on International Bank for Reconstruction and Development (IBRD) loans and guarantees, International Development Association (IDA) credits and grants, International Finance Corporation (IFC) investments, Multilateral Investment Guarantee Agency (MIGA) guarantees, and policies that impact the WBG's general operations. The Board of Executive Directors conducts the oversight function: both the Independent Evaluation Group, which provides an independent assessment of the results of the Bank’s work, and the Inspection Panel, whose primary objective is to address the concerns of people who may be affected by WBG projects, report directly to the Board. Board’s oversight function also includes the External Audit and Conflict Resolution System. The Executive Director for the Russian Federation and the Syrian Arab Republic serves as a member of the Ethics Committee, as well as the Committee for Development Effectiveness and Committee on Governance and Administrative Affairs. Additionally, the Executive Director for the Russian Federation and the Syrian Arab Republic and his staff are involved in other Board Committees, including the Audit Committe, the Human Resources Committee, and various sub-committees and working groups. The Trust Fund supported the advancement of financial literacy and capability programs in developing countries between 2008 and 2013. 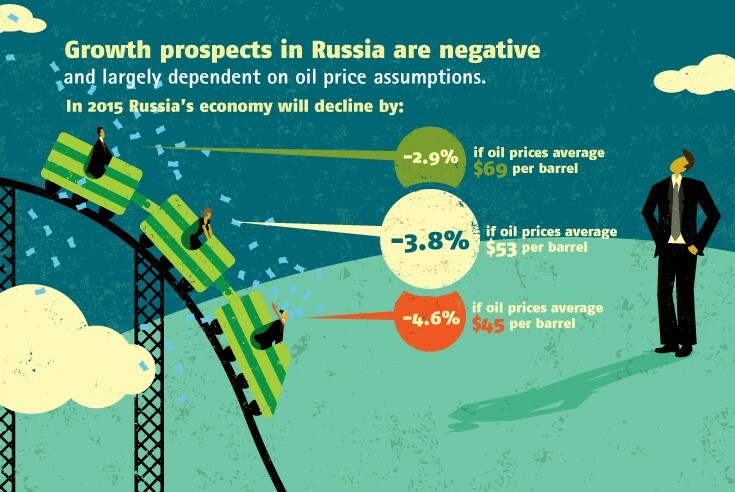 The World Bank projects a negative growth outlook for Russia in 2015-2016, with the economy expected to contract by 3.8% in 2015 and modestly decline by 0.3% in 2016. The Minister of Economic Development of the Russian Federation is the Governor for Russia at the World Bank Group. The Alternate Governor for Russia is the Deputy Minister of Finance of the Russian Federation. According to the Articles of Agreement, the Board of Governors is the Bank's senior decision-making body. However, the Board of Governors has delegated all powers to the Board of Executive Directors except those mentioned in the Articles of Agreement. The Executive Board is also responsible for presenting to the Board of Governors an audit of accounts, an administrative budget, and an annual report on the Bank's operations and policies, along with other matters. Governors meet every spring and fall for the World Bank Annual and Spring Meetings and participate in the sessions of the Development Committee, composed of 25 Governors, which take place at the same time. 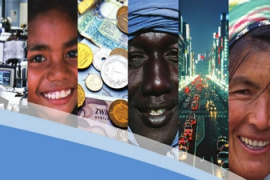 See a detailed description of the organization and governance of the World Bank Group. Since November 2014, the Executive Director for the Russian Federation also represents the Syrian Arab Republic. Russia Economic Report 33: The Dawn of a New Economic Era? View the series of reports on Financial Infrastructure.